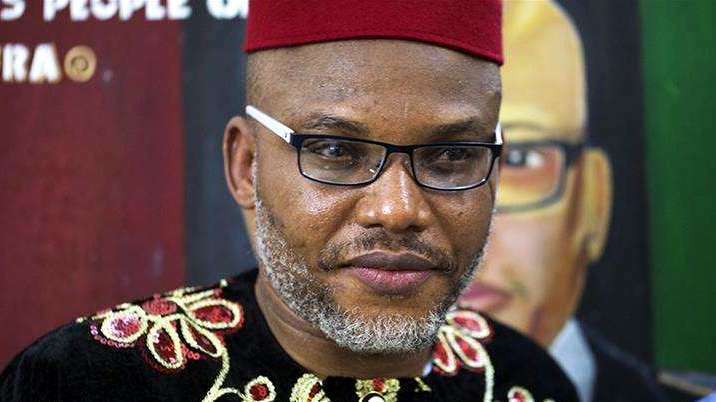 Nnamdi Kanu, the leader of the Indigenous People of Biafra (IPOB), on Saturday, alleged that the presidential candidate of the Peoples Democratic Party (PDP), is not “originally” a Nigerian which stirred controversy in the heart of Nigerians. “Do you know that Atiku Abubakar is from Cameroon? His area of Adamawa was in Cameroon,”. Mr Kanu said in a live broadcast on Radio Biafra which commenced 6 p.m. on Saturday. The claim by the separatist leader has generated a buzz, especially on the social media. But, how true is that claim by Mr Kanu? Going by history, he is in fact not entirely wrong in his assertion, a fact-check by PREMIUM TIMES shows. This area was never part of Nigeria legally until the February 1961 plebiscite where the people of the then Northern Cameroon voted to join Nigeria. The area had been entrusted to Britain by a League of Nations mandate in 1919 and later as Trust Territory by the United Nations in 1946, according to an article published on Myculturebase. Ganye, which incorporates Atiku’s birthplace of Jada was the headquarters of British Cameroons, but following the plebiscite, joined Nigeria. Though Mr Kanu is correct about the historical origin of Atiku’s Jada, it is, however, instructive to note that when Mr Abubakar was on November 25, 1946 born to a Fulani trader and farmer Garba Abubakar, Jada village and other parts of Chamba land in the then Northern Cameroon were still known as British Cameroons. With the defeat of Germany in World War I, Kamerun became a League of Nations mandate territory and was split into French Cameroons and British Cameroons in 1919. While France integrated the economy of their part of Cameroon with that of France, the British administered theirs from neighbouring Nigeria, making Atiku’s Jada a British franchise. The IPOB leader in Saturday’s broadcast cited the plebiscite that incorporated parts of Chamba land into Nigeria as a justification for his call for a referendum. Mr Kanu has been at the vanguard of the call for a break of the area he calls Biafra Republic from Nigeria through a referendum. The area incorporates South-east Nigeria dominated by the Igbos.